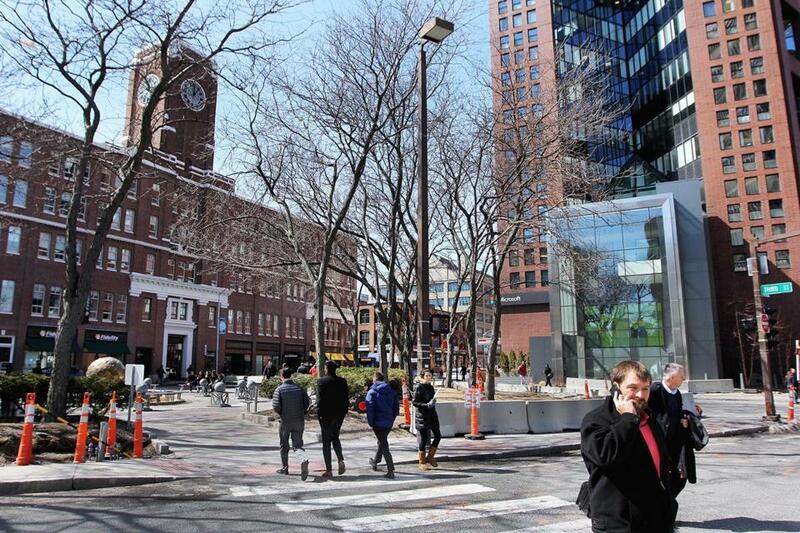 Could a smaller Kendall Square blossom in Dorchester? UMass Boston bought the former Bayside Expo Center property out of foreclosure in 2010 for $18.7 million. 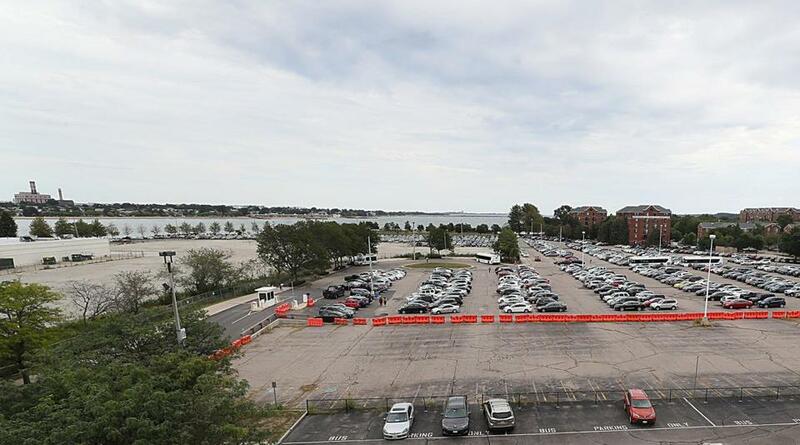 More than a year after launching its search, the University of Massachusetts Boston is close to selecting a developer to remake the old Bayside Expo Center site, a project that could anchor the rapidly changing area where Dorchester and South Boston meet. UMass Boston officials on Tuesday described a vision for the site that is something like a mini Kendall Square — a bustling business district that will bring big-name companies to the university’s doorstep while pumping much-needed cash into its coffers. The school has narrowed the hunt to a handful of finalists, and hopes to pick a winner this fall. Officials wouldn’t divulge names, but said the short list of potential developers includes some of the biggest players in Boston, as well as national firms that specialize in life science and tech campuses. Real estate professionals with knowledge of the deal say it could generate $200 million to $300 million for the school in coming years, and probably would be structured as a long-term lease that would let UMass retain ownership of the property itself. Realistically, a development plan for the site is still months away. It would likely need the blessing of the state, City Hall, and residents and elected officials in neighboring parts of Dorchester and South Boston. But the potential is enormous, said Rob Griffin, head of capital markets at real estate firm Newmark Knight Frank, which UMass hired to handle the sale. The university envisions a bustling business district, reminiscent of Kendall Square (above), at the site. UMass envisions a mix of housing, retail, and restaurants to serve its staff and students, and enough office space to attract a major company — likely in the life sciences or technology industries — and the sort of startups that would like to locate nearby. Such a complex could bring thousands of jobs, and opportunities for students and faculty, said UMass president Marty Meehan. This is not the university’s first plan for the Bayside site, which UMass bought out of foreclosure in 2010 for $18.7 million. It was considered as a potential location for an athletes village for the 2024 Olympics bid, then for a soccer stadium for the New England Revolution. But after talks with Revolution owner Robert Kraft fell through, and with the university’s financial challenges mounting, UMass decided to put the site on the market. During months of talks with potential buyers, its plan has evolved to feature more office space, with an eye toward innovative companies that want to partner with a university next door. It’s a model that a growing number of schools — from MIT to UMass Lowell — are following, launching commercial real estate projects aimed at bringing business to their doorstep. Bayside has the added benefit of being a short walk from the JFK/UMass Red Line MBTA stop, in a part of Boston that is attracting a surge of interest from developers. Several large parcels on nearby Morrissey Boulevard have changed hands in recent years, including the former home of the Globe, which Burlington-based developer Nordblom is turning into an office complex for innovators and startups. Nearby in South Boston, WinnCompanies is starting work on a makeover of the Mary Ellen McCormack public housing complex, and much of Dorchester Avenue to the north has been rezoned for large-scale redevelopment. The Bayside site could be a linchpin for all of that, especially if it can attract the right kind of business, said Matthew Kiefer, a development attorney with Goulston & Storrs in Boston. But first, UMass needs to settle on a developer and terms of the deal. Newman said university officials are asking a last round of questions of the finalists, after which a committee — which includes representatives of Governor Charlie Baker and Boston Mayor Martin J. Walsh — will make a selection, balancing price, the plan, and the developer’s track record. The Bayside Expo Center as it appeared before its opening in the early 1980s. Correction: A previous version of this story misspelled Katherine Newman’s name.